* The printout is included in the PDF document right at the very end. 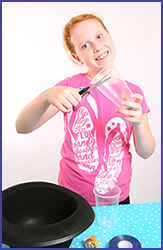 For these easy magic tricks for kids to do, soft plastic drinking cups are the best to use. 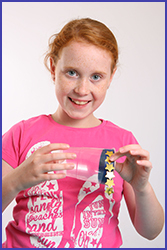 The plastic cups are very easy to cut to make the gimmick but be sure to ask an adult to help with the cutting. Electrical tape (called insulation tape) works very nicely because it is a bit stretchy and makes a smooth edge around the top of the cup. 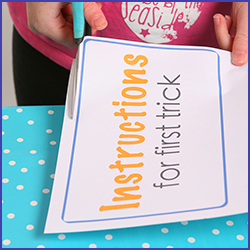 The ‘Instructions for first trick’ print out adds a comedy effect to your performance. Cut the top rim of one of the plastic cup off, about 1 cm from the top. It might be a bit difficult to get started and you may need some help from an adult with this bit. Make sure to cut as neatly as you can as this will be the edge that you don’t want to be seen by your audience. Take your time and finish it off as nicely as you can. Now you need to cut the bottom out off the other cup. I have found the milk in hat trick works best when you cut the inside of the base out (instead of cutting the bottom off). Again, it is quite tricky to get started and you may need to ask a grownup to help you. Make it as tidy as you can and trim the edges for a smooth finish. This cup is going to sit inside the first cup to complete the gimmick. Now it is time to decorate your ‘gimmick’ for the milk in hat trick. Cut a length of electrical tape to go around the top of the cup with the bottom cut out. I have found electrical tape works really well as it is a bit stretchy and gives you a very nice smooth finish around the cup. 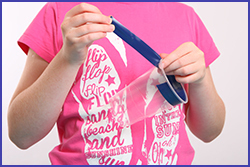 When you use tape that is not stretchy you may find that it creases as the cup’s sides are not straight. Carefully stick the tape around the top of the cup with the bottom cut out. Use the rim as a guide and you’ll have a really straight line. You want a tidy finish as this bit of decoration is going to help hide the ‘sneaky bit’ from your audience. Place the cup with the bottom cut out inside the cup with the top cut off. Trim the edge of the cup on the outside (the one with the top rim cut off) to line up with the bottom edge of the tape (as shown in the picture). This will hide the ‘sneaky bit’ from your audience. Decorate the edge of the cup with the missing bottom and the electrical tape around the edge. with stickers or colourful tape. This adds a ‘magical’ effect and will also help to distract your audience. This is called misdirection. Now it is time to prepare the ‘Instructions for First Trick’ that you’ve printed out. Cut neatly around the outside of the blue line. You can leave a little white border if you wanted to. 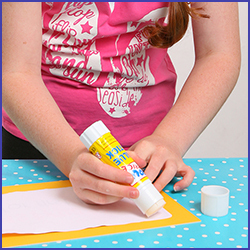 Then glue the back of the cutout with your glue stick. Make sure to cover the whole area, not just the borders. This will help you get a smooth and flat finish. Stick your glued paper onto your coloured A4 cardboard. If you put the finished ‘Instructions for first trick’ card under a heavy book or stack of magazines and leave it to dry for a couple of hours, you get a really flat finish. Now you have your ‘gimmick’ and presentation card for the milk in hat trick. 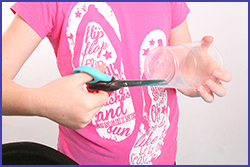 Have fun amazing everyone with this easy magic trick! That is a great trick, and so well performed. The instructions are very clear for the whole of the effect. 100 percent enjoyment. Thank you. 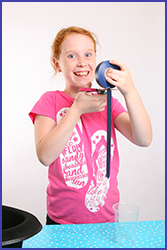 In this modern day world, there are many miracles being made by just performing simple magic tricks. It is easy to impress family, friends and colleagues by learning the strategies to turn a simple trick to an astonishing output. Until or unless, the trick is being revealed magic creates a remarkable and shocking experience to the public. 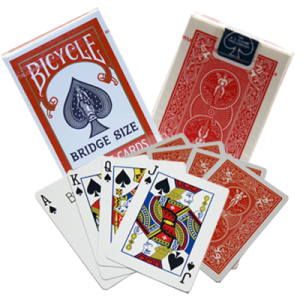 Everyone wants to learn magic tricks, theses days these are leading online websites, which are engaged in delivering a learning environment for simple magic tricks. They are very easy to learn, does not even consume loads of time or efforts. One can just browse all the detailed information of such type of top ranked websites, which maintain an optimum level of standards and services. As there is an online customer service provided for round the clock, user can inquire for all the queries or clarifications. Grabbing the spectators attention plays a vital role while performing any magic and the card magics are pretty easy to perform, but amazes people. I’m a kid, a kid who wants to learn magic! Your so funny! 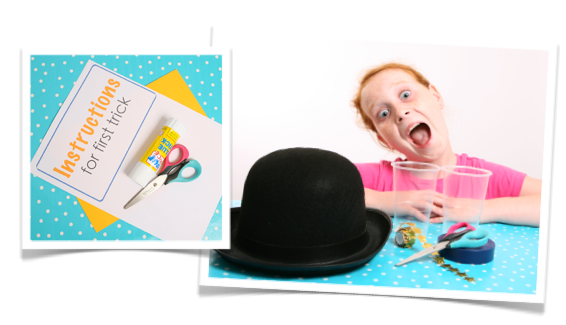 Great trick, great instructions and wonderful effect. This website rocks. So glad I found it. This is so awesome. I LOVE It! !!!!!!!!!???????? This is the most coolest magic trick ever.